New York City Events September 2011 include the US Tennis Open, Fashion Week, Fashion Night Out, Feast of San Gennaro, African American Day Parade, tons of Film, Musical and Television Festivals and more. 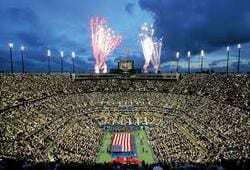 This year marks the 10 Year Anniversary of 9/11/01, always a somber day in New York City. However, this year, we celebrate with the unveiling of the new Memorial downtown. The 9/11 Memorial will be dedicated on the 10th anniversary of 9/11 and be open to the public on September 12, 2011. Free tickets to view the Memorial will be available beginning Summer 2011. 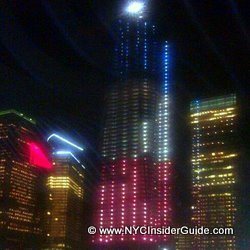 Read all about ways to honor the memories of the thousands of lives lost on 9-11-01, the Ground Zero Memorial and 9/11 Memorial Museum, opening in 2012. 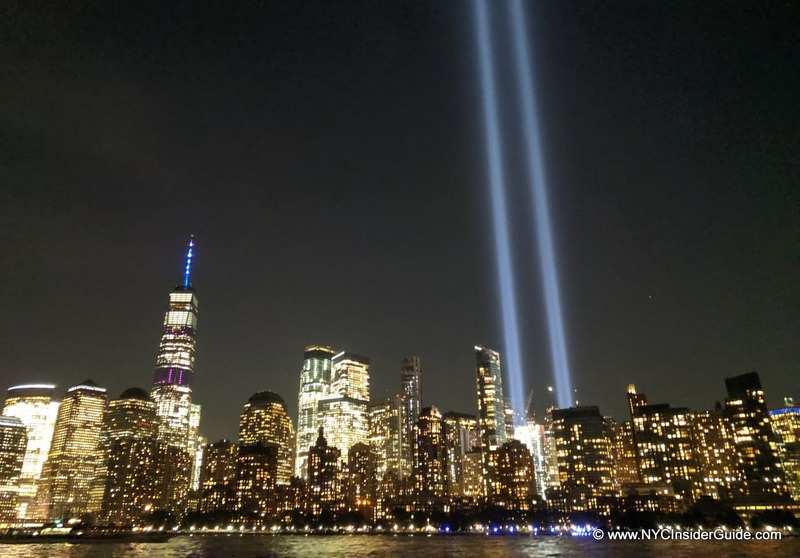 There are hundreds, if not thousands, of various tributes, concerts, memorials, fundraisers, exhibitions and more taking place throughout September, and especially the weekend of the 10 year anniversary of 9-11. 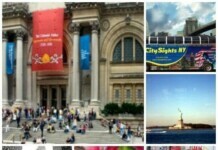 Just a few are covered here and anyone is welcome to add an event to the New York City Events September calendar. Charity Evening at ReVision Lounge – September 8, 2011. Enjoy an evening at ReVision Lounge & Gallery with actor and former FDNY firefighter, Steve Buscemi to benefit NYC’s charity, Friends of Firefighters. Broadway Performers Sing 9/11 10th Anniversary Tribute – September 9, 4:00 pm. In tribute to the 10th anniversary of 9/11, Broadway performers will gather in the heart of NYC’s Theatre District, at Duffy Square, to sing Kander & Ebb’s “New York, New York.” This special event in Duffy Square will support the 9/11 Day of Service and Remembrance’s “I Will” campaign, which inspires people to perform good deeds, support charitable causes, and volunteer in tribute to the 9/11 victims and survivors, and all those that rose in service in response to the attacks. FDNY 10th Anniversary Memorial Service Honoring Members Lost at the World Trade Center – 2-4pm, St Patrick’s Cathedral. A memorial service will be held honoring the 343 FDNY members who perished on 9-11-01 at the World Trade Center. The 343 honor families will be given priority seating leaving limited seating and standing room at the rear of the Cathedral for Fire and EMS personnel. At 1300 hours, active and retired members will be invited to line Fifth Avenue as a mark of respect as the honor families arrive. Large TV monitors on 50th and 51st Streets will simulcast the ceremony. 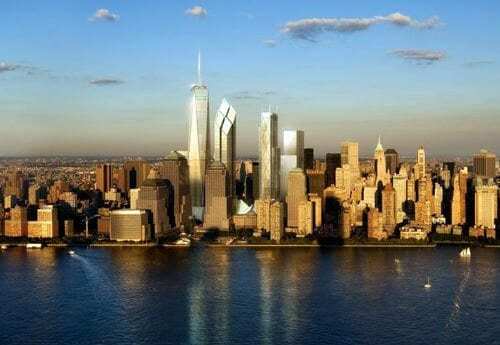 Memorial Ceremony at the World Trade Center Site – 8:30 AM -1:00 PM. President Obama and Mayor Bloomberg will be joined by the leaders in charge during the 2001 attacks, including former president George W. Bush, former Mayor Rudolph Giuliani and former New York Gov. George Pataki as well as current New York Gov. Andrew Cuomo and New Jersey Gov. Chris Christie. President Obama and Mayor Bloomberg will each read poems or quotes, no speeches, and family members of the victims of 9/11 will read the names of all those who died at Ground Zero during the attack, as well as those who died at the Pentagon and in the plane crash in Pennsylvania. The event is not open to the public, but will be televised. The ceremony will begin at 8:30 a.m. and there will likely be six moments of silence marking the exact times planes hit the north and south towers of the World Trade Center, the times each tower fell and the times hijacked flights struck the Pentagon and crashed in Shanksville, Pennsylvania. The reading of the names will begin after the first citywide moment of silence at 8:46 a.m.
Remembering 9-11 at The Metropolitan Museum of Art– 3:30 pm. Listen to the Wordless Music Orchestra, in The Temple of Dendur in the Sackler Wing, as they premiere the live orchestration of William Basinski’s ambient masterwork “Disintegration Loop 1.1,” created and conceived from Basinski’s residence in downtown Brooklyn in the weeks before and after the World Trade Center’s destruction. September 28, October 5, 12, 19, 6 – 8 pm. Wine, this spectacular view and live jazz music! 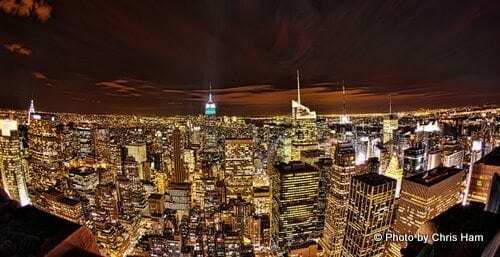 Visit the 67th floor observation deck at Top of the Rock and enjoy the city at sunset with wine and champagne (for purchase) provided by Rock Center Café and hot chocolate and sweet treats provided by La Maison du Chocolat. 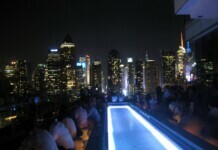 Music free with Top of the Rock Admission fee. Every Wednesday, September 28 – October 19, 2011. And the regular baseball season concludes with a weekend series against Boston! Hopefully the Yankees will be well on their way to the Playoffs by now, after our 27-Time and 2009 World Series Champions return to our 3rd Season at the new Yankees Stadium. With our favorites, A-Rod and Derek Jeter, there are few things in NYC better than a Yankees game, an old-fashioned hot dog and our new Yankee Stadium – hosting 81 Home Games this season. 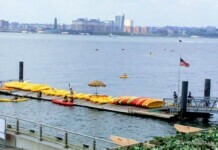 Even better – take a scenic Water Taxi ride FREE to Yankee Stadium! Four of the heaviest bands of all time, share one stage. 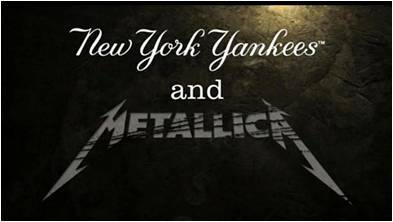 The power-packed line-up of Metallica, Slayer, Megadeth and Anthrax is coming to Yankee Stadium! Mercedes-Benz Fashion Week is likely the most well-known event during New York Fashion Week, but not the only one. Many top-name designers show their collections at other venues, including Ralph Lauren, Donna Karan, Calvin Klein and Marc Jacobs. Dozens of other fashion shows and related events are held around the city during Fashion Week in NYC. The 3rd Annual Fashion’s Night Out will return to New York City and cities nationwide to put the fun back in shopping, with designer appearances, live windows, celebrity guests, and other special events. Fashion’s Night Out is an unprecedented global initiative created to celebrate fashion, restore consumer confidence, and boost the industry’s economy. 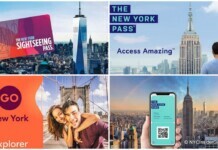 Stay tuned for special shopping events, discounts, cocktails, soirées and more at Times Square, Rockefeller Center and dozens more places around NYC. Food, Fun and Fundraising. Join Union Square for the 16th Annual Harvest in the Square, a festive celebration of community and cuisine, and New York’s premier food and wine tasting event featuring over 50 restaurants and 20 wineries. 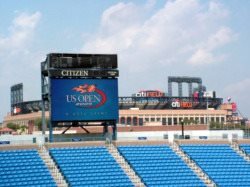 Get your New York Jets Tickets and catch NYC’s American football team in action at MetLife Stadium, shared with the NY Giants and home of the 2014 Super Bowl. 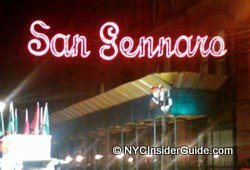 New York Jets tickets are a bit more available than Giants tickets, and you can even get some at a discount with no fees! After reaching the AFC Title Game the last two seasons, Rex Ryan’s team is looking to make a big jump. Quarterback Mark Sanchez is quickly becoming a star, and the defense with Darrelle Revis and Bart Scott is as good as there is in the NFL. 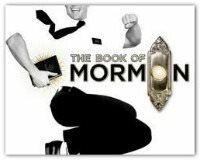 Get two-for-one tickets to some of the City’s hottest Broadway shows including The Addams Family, Billy Elliot, Chicago, Jersey Boys, Lion King, Mamma Mia!, Man and Boy, Mary Poppins, Memphis, The Mountaintop, Phantom of the Opera, Priscilla Queen of the Desert, Relatively Speaking, Rock of Ages, Sister Act, Wicked. This year’s guests include Giada De Laurentiis, Jamie, Bobby and Paula Deen, Guy Fieri, Bobby Flay, Emeril Lagasse, David Burke and Martha Stewart, to name just a few. Tickets start at $18 for some great Kid’s Events and go up to several hundred for private dinners with the famous chefs. The New York City Ballet brings together the legendary Sir Paul McCartney and Ballet Master in Chief Peter Martins for a hallmark collaboration. 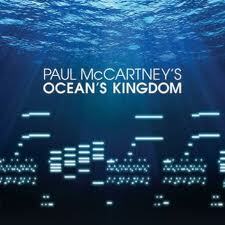 Ocean’s Kingdom marks the first time that McCartney has composed for dance, and Martins’ choreography will follow the music’s libretto of a romance between lovers from conflicting kingdoms. The costumes are designed by renowned fashion designer, Stella McCartney. New York City Ballet Tickets start at just $29. Carnage, based on the Tony-winning Broadway play, God of Carnage, starrring Jodie Foster, Kate Winslet, Christopher Waltz and John C. Reilly, directed by Roman Polanski, kicks off the festival at Alice Tully Hall, Lincoln Center. 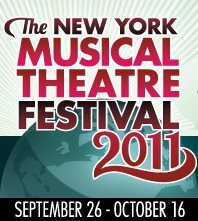 The 12th Annual New York Festival is a weekend celebration, bringing together writers, thinkers, artists, and other luminaries. In 2010, the festival included a special opening-night screening of “The Social Network,” followed by a talk with the film’s stars, Jesse Eisenberg and Justin Timberlake, and its screenwriter, Aaron Sorkin. Held annually each fall in New York City, the birthplace of modern television, the Festival unites artists, executives, industry figures, and fans together in one forum to celebrate the medium and to help shape its future. The week-long celebration features screenings of the best independently-produced content, panels and talkbacks with industry thought leaders and creative luminaries and red-carpet premieres of the stars and creatives behind the seasons’ most anticipated new network and cable shows. The annual outdoor concert in Times Square, Broadway on Broadway, which has in the past taken place on the Sunday after Labor Day, has been postponed and replaced this year with Broadway Performers Sing 9/11 10th Anniversary Tribute in honor of the tenth anniversary of 9/11 and will return for a very 20th Anniversary edition in Fall, 2012. Free NY Philharmonic Concert Tenth Anniversary of 9/11 – In Remembrance and Renewal, Sat, Sep 10, 2011, 7:30PM, Lincoln Center. Mahler‘s Symphony No. 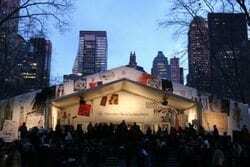 2, ‘Resurrection.’ Live in Avery Fisher Hall and projected live onto a large screen on the Josie Robertson Plaza. 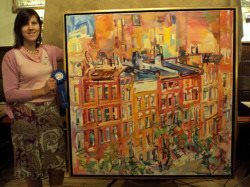 TASTE OF THE VILLAGE – On Wednesday, September 14, 2011, the Village Alliance will celebrate it’s 9th Annual Taste of the Village Benefit for Washington Square Park. 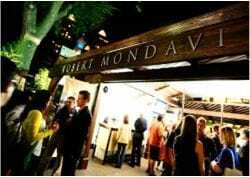 This year’s food and wine tasting extravaganza will be the largest ever, with nearly 30 local purveyors to choose from. Show your support for Washington Square Park at this celebration of food, friends and fun. Greenwich Village. 1st Annual Modern Soul Quartet Boatride – Sept 25th!